Damian Junior Gong Marley’s reign at the summit of Bill Board’s Reggae Chart continues for a second week with the Album Stony Hill, maintaining its number one position on the chart. As the youngest son of reggae icon Bob Marley, Damian has harnessed his innate musical talent and turned it into a lucrative career of his own. 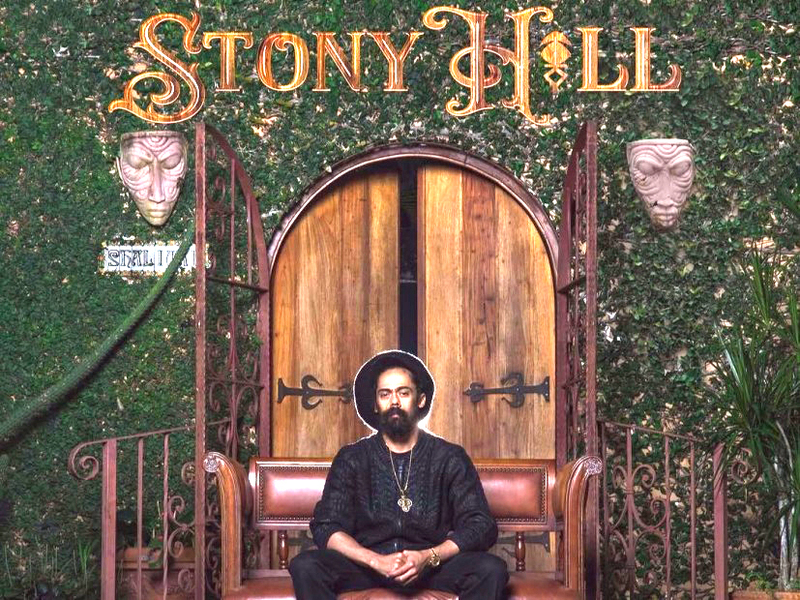 The 38-year-old Kingston, Jamaica native is back with his first solo album in 12 years, Stony Hill, which features 18 new tracks and his older brother Stephen Marley on three of them. Tracks on the album include “Here We Go”, “Nail Pon Cross”, “ Looks Are Deceiving”, “The Struggle Discontinues”, Picture Perfect featuring Stephen Marley and “So A Child May Follow”. Damian has consistently incorporated Hip Hop into his music over the years. In 2005, he teamed up with Nas on the Welcome To Jamrock track “Road To Zion” and in 2010, the pair released a collaborative album, Distant Relatives. Most recently, he popped up on JAY-Z’s critically acclaimed album 4:44 on the song “BAM”, and headed to Jamaica for the subsequent video. Chronology by Chronixx fell one place to three, losing its place to the fast rising “Good Life” by Collie Buddz which leapt from six last week to two this week . Revelation Part II: “The Fruit of Life” by Stephen Marley, which continues to maintain a place on the chart after 53 weeks, has moved two places up the chart from 15 to 13 as it makes a push for the top ten.